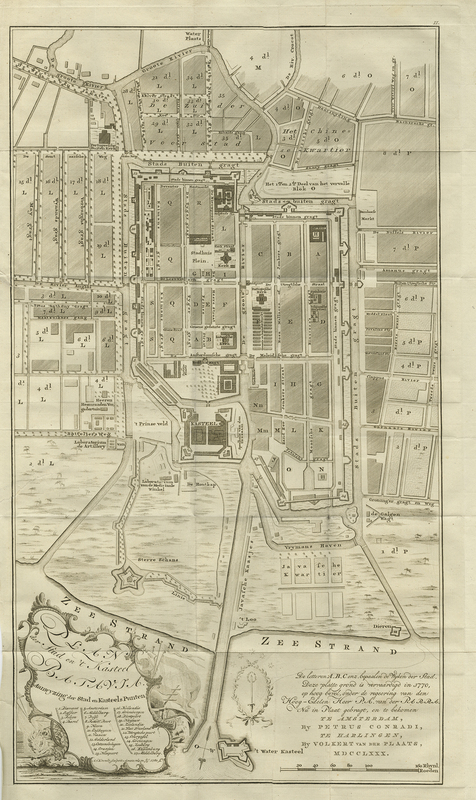 Tags: Antique Map, Batavia, Indonesia, Jakarta. Antique Map of Batavia titled ‘PLAN der Stad en ‘t Kasteel BATAVIA. Aanwyzing der Stad en Kasteels Punten’. A very rare late 18th century detailed plan of Batavia with an alpha-numeric key showing the main areas and buildings (only the numeric key is shown in the plan legend). The plan was engraved by A. van Krevelt of Amsterdam in 1780 and published by Peter Conradi in c. 1780. Measurements: 647 x 368 mm.